You mention that the deck falls to combo decks. 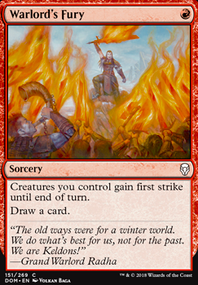 Would something such as Reclamation Sage / Broken Bond / Naturalize in sideboards? Sage is a 2/1, who under appropriate circumstances can be a decent creature. For example, if you are not up against a deck with burn aspects in it, you can always Giant Growth / Brute Force / Mutagenic Growth it for some serious power. Effectively, you are packing a combo-stopper inside of a creature that benefits from the Zoo archetype. Bond allows you to hit your land drops. Perhaps you are slowed down for some reason. Perhaps you'd like to replace a land or two with more pump or more removal, and thus getting what lands you do have out earlier are all the more important. 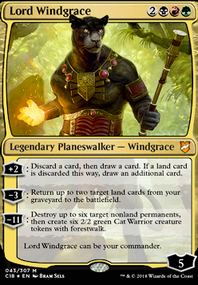 Perhaps you've gone a bit more budget and opted into lands such as Gruul Turf or are looking to optimize on your draw, so you choose scry lands such as Temple of Plenty . What Broken Bond will allow you to do is tap your land to gain the mana from it, drop your stronger land for the turn that enters tapped, then play Broken Bond to crack down on combo pieces and play the land you just returned to your hand. If you are wise, you returned a basic land so you can replay it untapped and gain an extra mana. Lastly, Naturalize is just a powerful instant. Once your opponent declares their combo to start, slip in at the right moment and destroy it on the stack and watch their entire combo end. 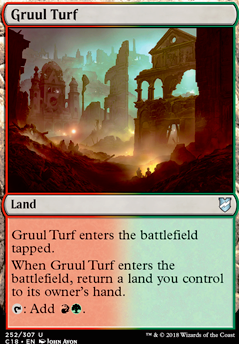 Maybe add Gruul Turf ? Can sometimes help if you draw too few lands. 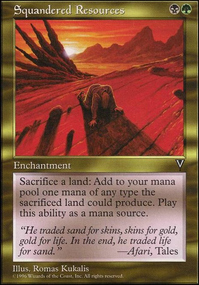 I would take Wilderness Reclamation out because it readies mana for your opponents' turns. You're rarely going to be playing instants, so most of the time it will be a dead draw. Hey, would definitely recommend swapping a Selesnya Sanctuary for a Gruul Turf - It's something that looks small but it's great for producing the Red mana you need to let a titan go Double Striking (or when attacking with two titans it's a great way to give them both double strike if you have more than one Amulet out). Interested to see how you find Expedition Map as I preferred a mainboard Reclamation Sage more to fight through things like Blood Moon and Damping Sphere . I haven't played the deck since we've moved to mainly using the white splash though, so take my advice with a grain of salt haha. My first update is focused on fine-tuning the deck a bit and getting rid of some of the obvious misfits with some needed staples and just new cards I thought would work. I decided to go all-in on the quick beatdown plan, so I added in some low-curve mana producers like Wood Elves, Magus of the Library, Frontier Guide, and Burnished Hart along with some heavy beaters and game-enders like Decimator of the Provinces and Siege Behemoth. 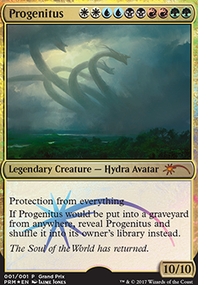 I also added a bit more tutoring power with cards like Genesis Hydra and Brutalizer Exarch. I removed a bit of the Elf tribal suite because while it may be good in the early game, it won’t matter much if you get something like Skyshroud Poacher later in the game. I added Yeva, Nature’s Herald because having flash is crucial for a deck like this to really succeed—surprise allows you to dodge removal and play conservatively instead of walking into spot removal and board wipes. 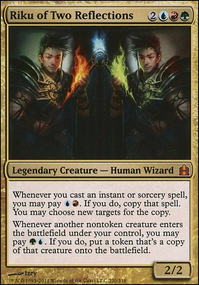 Speaking of flash, I can’t believe I didn’t consider Dualcaster Mage before—you may not be able to cast your own instants and sorceries, but Nikya doesn’t say anything about not letting you take other people’s! Golden Guardian I think is an excellent card in this deck—not only does it die easily to most of your powerful creatures, including your commander, but it transforms instantly into a land to boost your mana AND that pumps out Golems every turn with the extra mana you have left over. Finally, I also beefed up the land suite a bit to include some more utility lands—one thing I’ve realized is that the lands in this deck will have to carry some of the extra weight of you not playing spells. Contested Cliffs gives you access to extra removal, as many of this deck’s most powerful creatures are Beasts. Fungal Reaches lets you store extra Nikya mana for a big burst later on. Endless Sands is more insurance against removal and board wipes. And Mystifying Maze provides the deck with some much-needed defensive capability, once again helped by all that extra mana. Something I’m struggling with is how much to focus on my beatdown plan versus an anti-control or combo plan. As it stands, this deck is well tuned for the beats but is weak against non-interactive strategies like storm or blink decks. 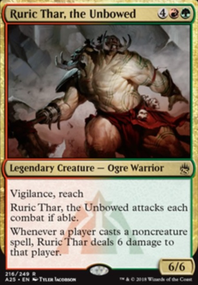 Cards like Ruric Thar, Immolation Shaman, and Harsh Mentor would definitely put a crimp in their plans and stop them from going off, but they don’t really help toward Nikya’s goals much. 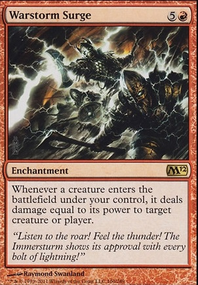 Other cards like Runic Armasaur that are designed for the long game don’t seem at home in this specific version of the deck—I could see an alternate build though designed more with control in mind than beatdown. You’ll notice I’ve added a large Maybeboard of cards I want to include, but just can’t find space for.